These are the instructions to install TWRP Recovery on Samsung Galaxy A7 SM-A710Y smartphones running any firmware. 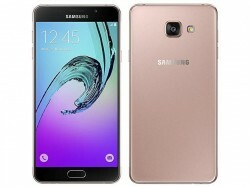 You can flash the TWRP Recovery in this guide on the Samsung Galaxy A7 with the model number SM-A710Y. The TWRP Recovery file in this guide is an unofficial release and not given by the official crew from Team Win. The recovery file is given by an XDA Developers senior member and the comments on the thread say it is working. With that being said, the OP states you should head over to the Sam Mobile website and get your stock ROM ready to flash just in case you do suffer from any soft-brick issues. Download the Samsung USB Drivers  on the Windows computer before you start the guide so your smartphone can talk to your Odin flashing tool. Download the TWRP Recovery for the Galaxy A7 A710 Y from this link . Extract the files to the desktop of the computer. Double-click the Odin flashing tool’s executable file that is on the desktop. Reboot the Samsung Galaxy A7 to download mode. Connect the Samsung Galaxy A7 to the computer with the USB cable. Wait a few seconds for the drivers to start working. Click the AP button and browse the desktop for the TWRP Recovery file. Make sure you uncheck the box for the Auto Reboot option. Do not make any other changes to the default settings. Click the Start button and wait for the Odin flashing tool to complete the flashing of the TWRP Recovery. Reboot the recovery mode right away after the Odin flashing tool says it has passed. You can reach recovery by turning it off and booting with the Volume Up + Home + Power buttons. Any device that does not get to recovery mode the first time will probably find the stock recovery is back on the device. You will need to follow the guide again and get in recovery mode without it booting in normal mode for the custom recovery to have flashed over the stock recovery.